It was a hot and muggy day, but I went out and got it done regardless. Starting with 90 push ups, I was surprised that I was able to get them done considering the beating my shoulder took this weekend from my new rifle, the Springfield M1A. There was the slightest soreness on the first push up, but for the remaining 89, I didn’t feel a thing! After knocking out the push ups, I hit the pavement. Normally, when I start running, I already have a plan for which route I will take, whether it’s laps around the lake or a neighborhood run. 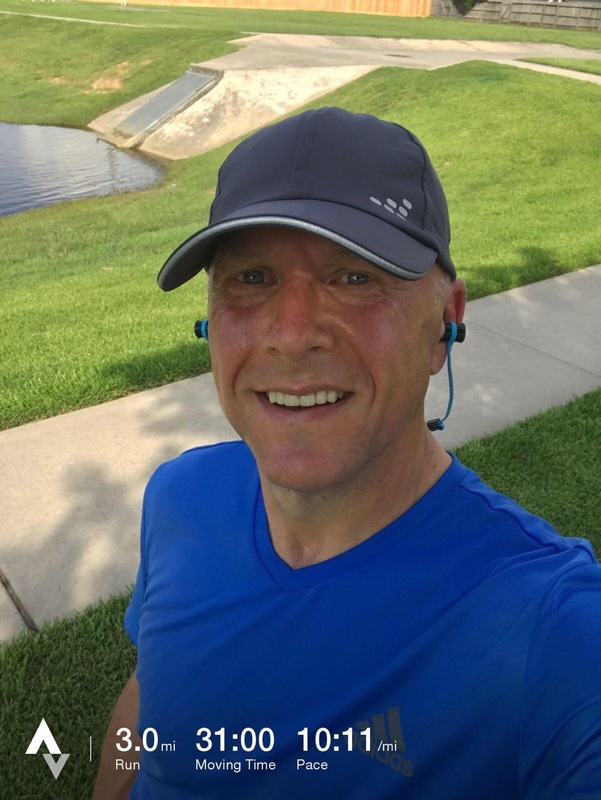 This time, I didn’t really know what I was going to do, but the sun dictated it for me once I got started; it was going to be a neighborhood run. I choose neighborhood runs on sunny and hot days because the neighborhood behind my house is older and has large trees alongside the road which provides shade for me to run under. This is crucial to keep me from getting overheated. Even with the trees, however, each mile got harder and harder due to the heat. My first mile was at a 9:16/mile pace, while the second mile was a 10:09/mile pace finishing up with an 11:10/mile pace for the third and final mile which gave me a 10:11/mile average overall. Not the worst time, but definitely not my best. Whenever it’s really hot like it was today, however, these are pretty standard times for me. I try not to push myself too hard in the heat for fear of getting heat exhaustion or worse, heat stroke. The last thing I want to do is die on a run. So, I’ll take it. I’m glad I got out there, I’m glad I got it done, and now, I feel much better. Oddly enough, after the run, and after cooling down in a shower, I feel refreshed and ready to take on the world.